! Without optimal metabolism, the body stores more calories as fat, which is a huge problem for people who are trying to lose, or maintain, weight. So, here’s my top twelve tips on keeping your metabolism healthy.. I know so many people who skip breakfast, thinking its better to go longer without eating. This is the opposite of the truth! Breakfast gives your metabolism a boost, and wakes your body out of the starvation mode it entered through the night. If you don’t eat breakfast, you’ll burn only a few calories, if any, between waking up and dinnertime. Adding spices to your food really boosts your metabolism, as it is digested faster. Mexican and Thai foods often contain a lot of spices, or invest in a spice rack and get experimenting! Instead of eating three big meals a day, why not eat six little ones? This keeps your digestive system working, and so ensures you are always burning optimum calories. As a general rule, try not to leave more than four hours between each meal. Although I really hate the stuff, green tea has been studied by Scientists and they discovered that the antioxidants in it keep your metabolism revving. They also improve concentration, boosts energy, lower cholesterol, guards against some cancers and even make people happier, so get drinking! People who don’t get eight hours sleep at night are much more likely to be obese, as they have to constantly snack on foods to get energy, and their bodies store this energy as fat. Make sure you get eight hours at least four times a week! Between 20 and 35 percent of your daily calorie intake should come from protein. This isn’t just meat, it includes eggs, cheeses and nuts, too. The amino acids in protein make your body work harder to break up carbohydrates, which means you burn more calories. 7. Stay Away from Sugar! causes the body to store everything as fat, as the sugar provides instant energy, and so no more is needed. So, as hard as it is, try to cut down your sugar intake. Some shops do sell sugar free sweets and treats, but its a lot healthier to snack on fruit instead! Too much stress causes our bodies to create a chemical called Cortisol, which slows the metabolism and causes weight gain, particularly around the stomach. Although it can be hard to avoid stress, try not to put yourself in situations that you know will stress you out, and do yoga or something relaxing whenever possible. Muscle burns more calories than fat, but does weigh more, too. So, ignore the figure on the scales, and instead aim to improve your muscle to fat ratio. Get training, and your calories will burn themselves! While scientific evidence is hard to come by, most diets recommend eating before 6pm, as this leaves four hours before bedtime in which you can digest your food. Sticking to this rigidly is impossible, but try to eat as early as possible, to give your body as much time as possible to burn off calories! Make sure 90% of the things that you consume in a day are good for you. Then have one treat a day, whatever you want, chocolate, ice cream or buttery bread, to keep you feeling happy and sane. Without this, you are much less likely to stick to your diet. 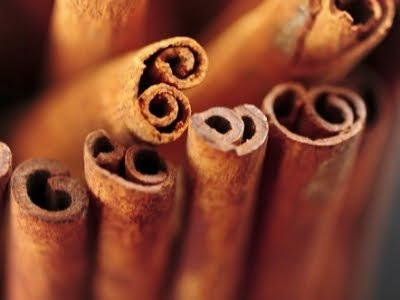 Cinnamon is claimed to have many properties, one of which is that it stimulates the metabolism. Many dieters swear this is true, so try sprinkling some on your porridge for a flavour, and diet, kick! Remember that everyone is born with different metabolisms, and different peoples take a different amount of maintenance। So if you aren’t a natural metabolism machine, use these tips to grab yourself a healthy metabolism…and let me know if you’ve got any other tips!